Last week, Ateneo de Zamboanga University (ADZU) Computer Science Department celebrated the 2nd ICT Week. 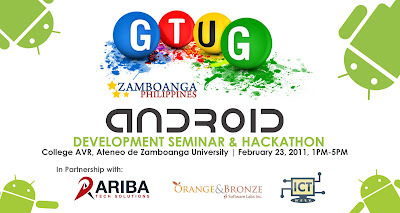 With the series of events prepared, GTUG Zamboanga participated and introduced Android Development to the local developers, educators and CSIT students who plans to engage in Android application development. 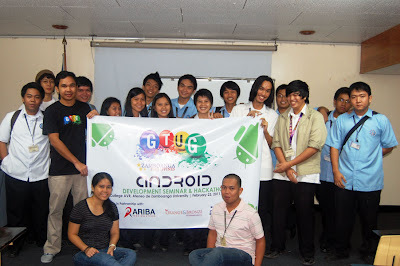 The Android Seminar was held last February 23, 2011 from 1PM-5PM, Wednesday, at the ADZU College AVR wherein 60+ people attended the event. Attendees came from different local universities and colleges. I introduced them to the basics of Android development using Eclipse as the IDE and Ms. Grace Sojor, a fellow GTUG Zamboanga member, showed us on how to setup Android development using Netbeans IDE. We were supposed to have a Android Hackathon but unfortunately we had a little Internet connectivity problem and running short of time. So, we decided to move the Hackathon on our next event this coming April. We'll keep you posted on the final schedule. 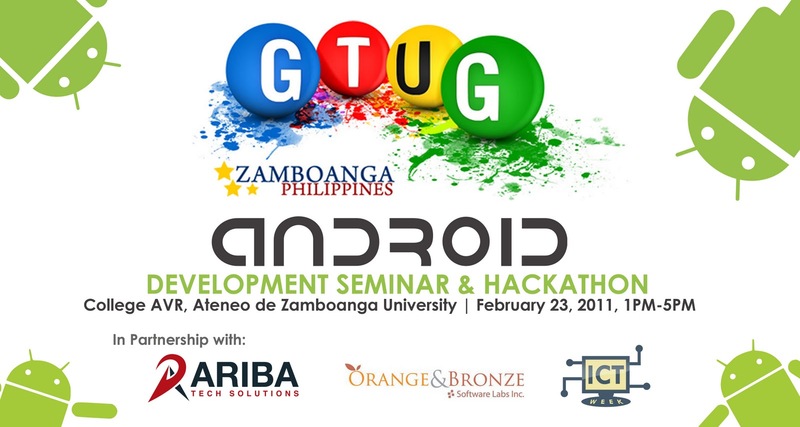 We would like to thank our sponsors: Ariba Tech Solutions, Orange and Bronze Software Labs, Inc., Ms. Grace Sojor, GTUG Philippines, and all the volunteers who assisted us during the event. On a side track, last Saturday, I went to Pagadian City to attend and talk at the 2nd Philippine Society of Information Technology Students (PSITS) Regional Conference (Region 9) wherein hundreds of students from different colleges and universities from the region attended. 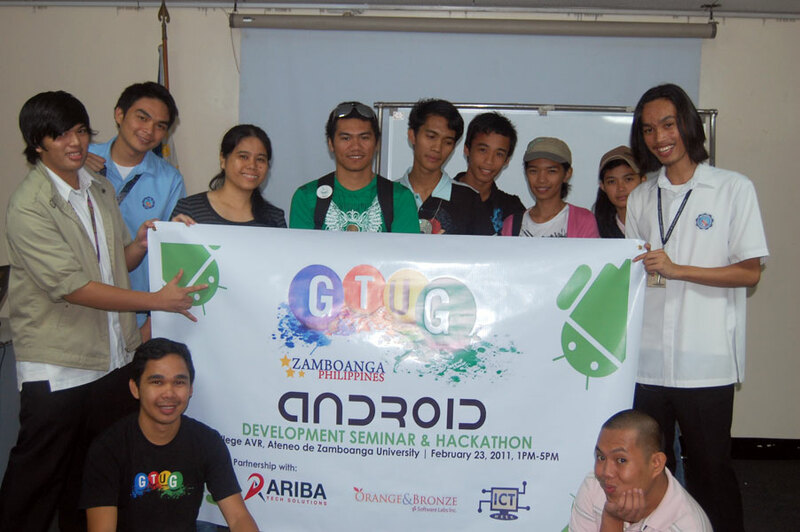 I talked about Web Development and introduced GTUG PH to them and our activities. Anyway, until our next event! See you!